If you want to leverage your time spent on LinkedIn more effectively, here are 7 ways to impact your LinkedIn marketing strategy for 2018. Did you know there was a dramatic increase in activity on LinkedIn in 2017? What that tells me I that across the board LinkedIn continues to dominate the world of business networking and reputation management. 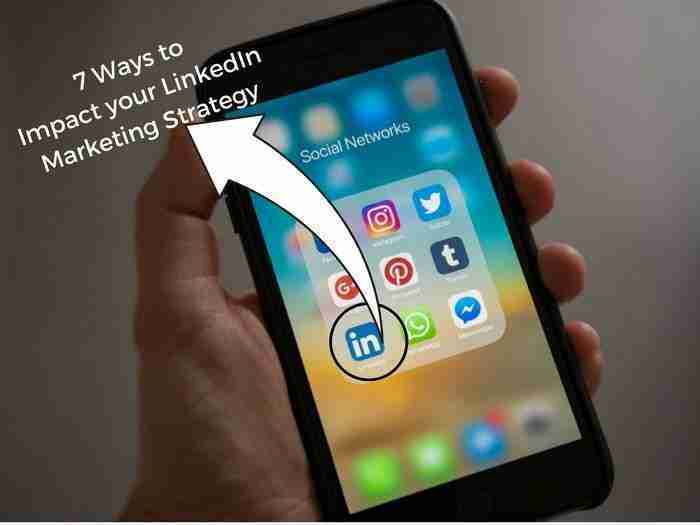 How will you use LinkedIn as a tool in your LinkedIn marketing strategy for 2018? Whether you are in business for yourself or are an employee of a company, you want to manage how you portray yourself in that that business, your industry and community. Everyone has a personal brand, so ask yourself is your strong enough to stand out from your competition? Does it stand out within your company? •	What do you do better than someone else in your field? •	Why do customers do business with you? This offers clues to include in your profile. •	What are you known for? •	What makes you credible? 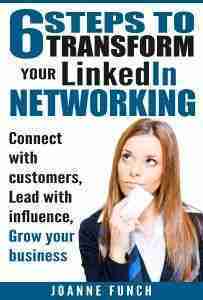 LinkedIn rewards those people who are consistently engaged with their network. That means sharing a post and comments on other people’s articles and posts. When posting, be sure to ask a question or write content that encourages a comment and then always respond to your commenters to keep the conversation going. If you want to influence your industry, use the appropriate hash tags! Video continues to be hot, hot, hot in marketing. LinkedIn offer you two options for posting video. First is native video which simple means posting a video link from You Tube. You can also generate Live Video. This simply means you can film directly from a smartphone and upload right onto the site, if you do so from the LinkedIn app. Putting a face to a brand helps you build trust. Late last summer LinkedIn rolled out its active status feature in messaging, which puts a green dot next to contacts who are active on the platform while you are. This feature shows you connections you could potentially engage in a real-time discussion with. If you are a long-time member of my community you know I always talk about how your network is your net worth. I challenge you to get curious about people and invest in getting to know them. Start with a list of 5 people you want to know, do research about them such as what they care about, ask questions and find ways to give with no agenda in mind. Invite people to meet in person, create a process to send regular communications to stay top of mind but your long-term goal is to deepen important relationships. Real networking and relationships are about generosity and authenticity. LinkedIn is giving you more and more information on who is viewing your profile, following you, and engaging with your content. You can see the top industries of your readers, common job titles, where they are geographically and how they found your article. Why not leverage this information to help you create more effective content, deepen relationships which ultimately lead to new business and career connections. Leveraging your personal brand, increasing your engagement for more exposure will create more opportunities. Be consistent because you will be rewarded in the long run.